This desktop magnifier is the Video Work Horse of the industry. You will have years of task and pleasure reading at an exceptionally low price. 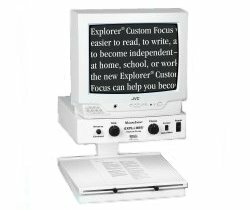 Our AbleZone manual video magnifiers are made in the USA with the same solid frames and electronics as our Auto-Focus products.